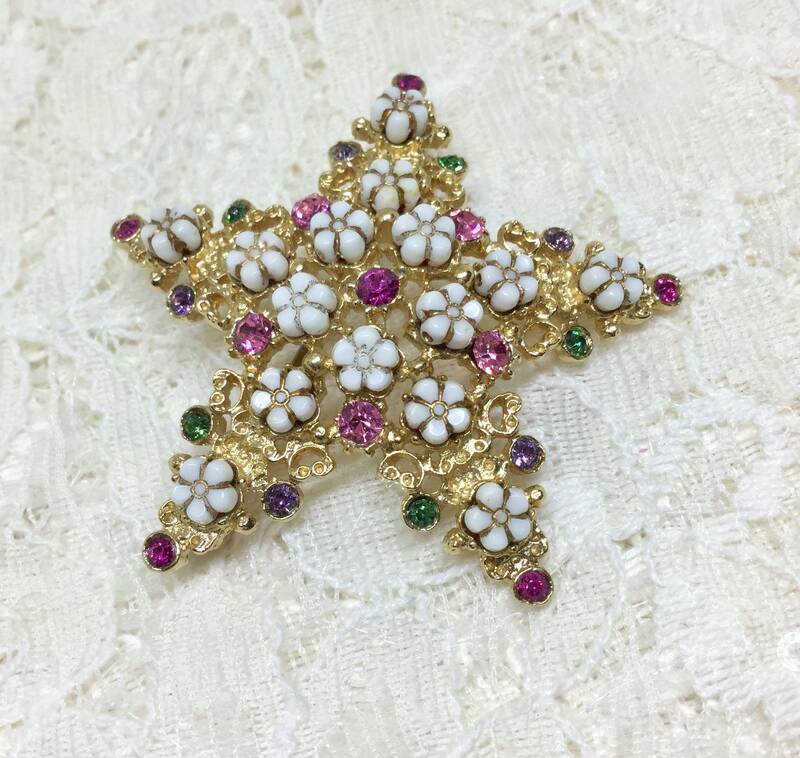 This is a pretty vintage 1969s FLORENZA signed star flower rhinestone brooch. 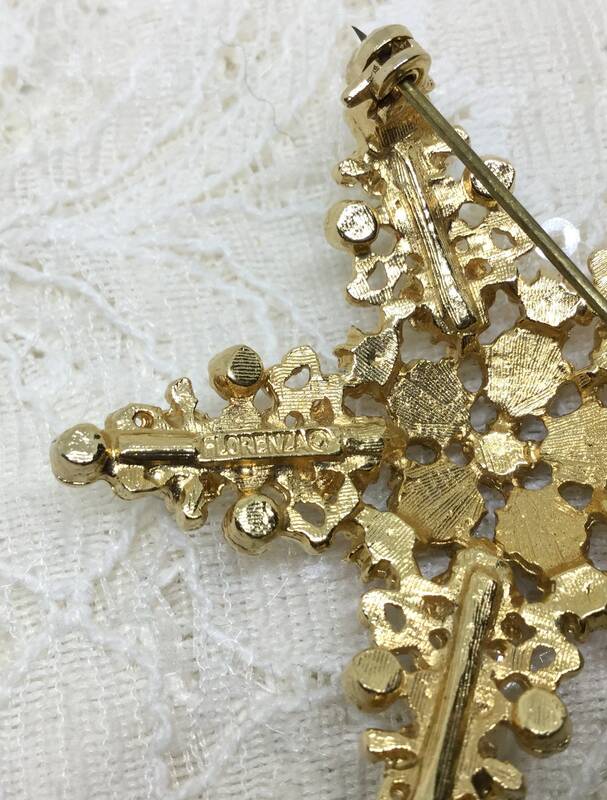 It is goldtone with a star shape setting that has some open areas. 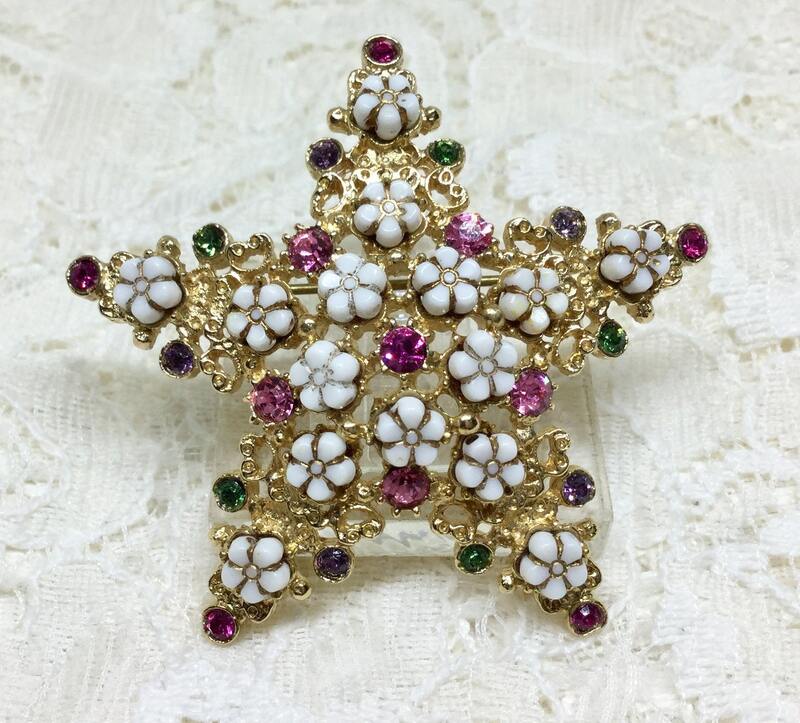 Each flower is made up of five milk glass beads. 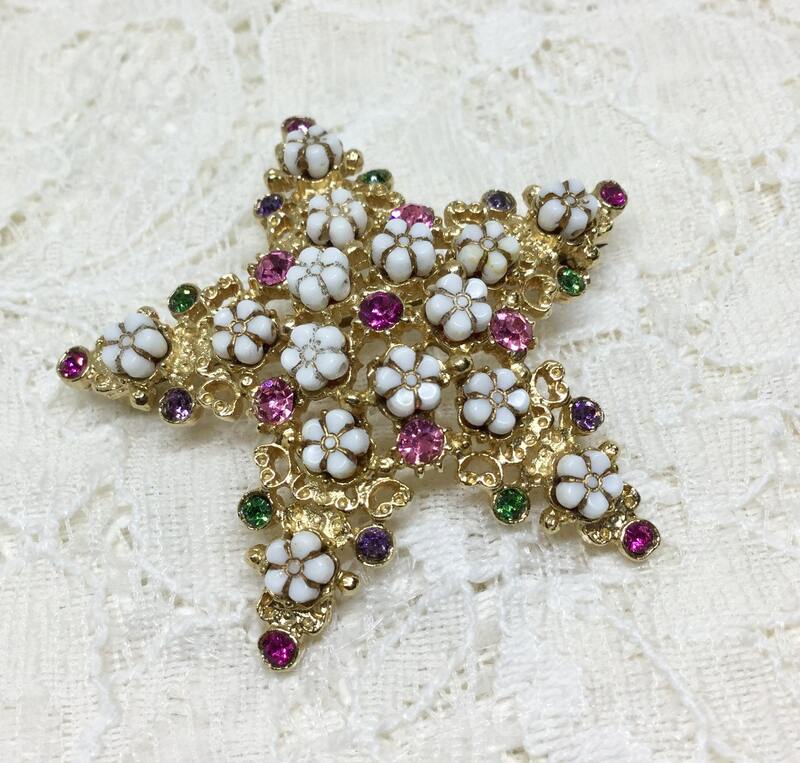 The small round rhinestone accents are the pink, red, green, and purple. It is signed FLORENZA on the back. 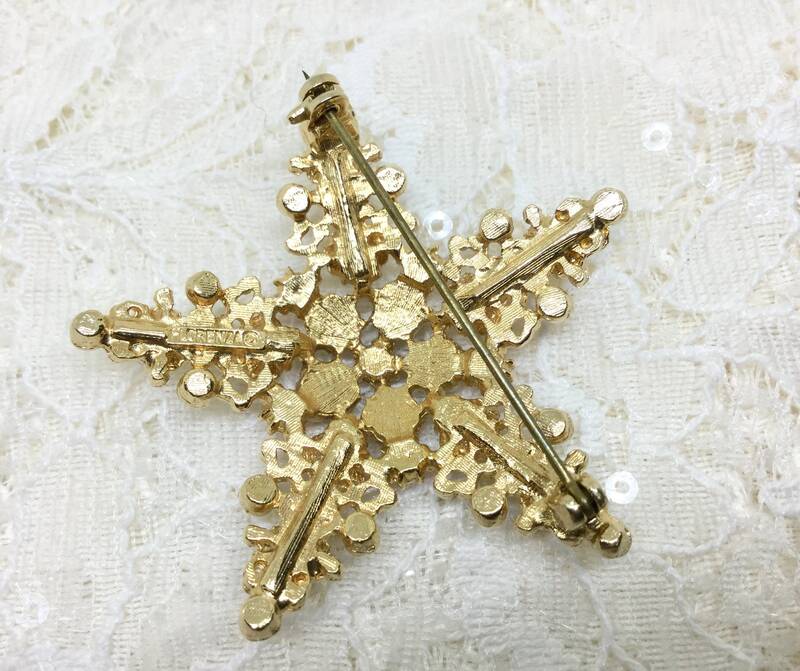 It measures 2” in diameter and the pinback is straight and works smoothly and securely. 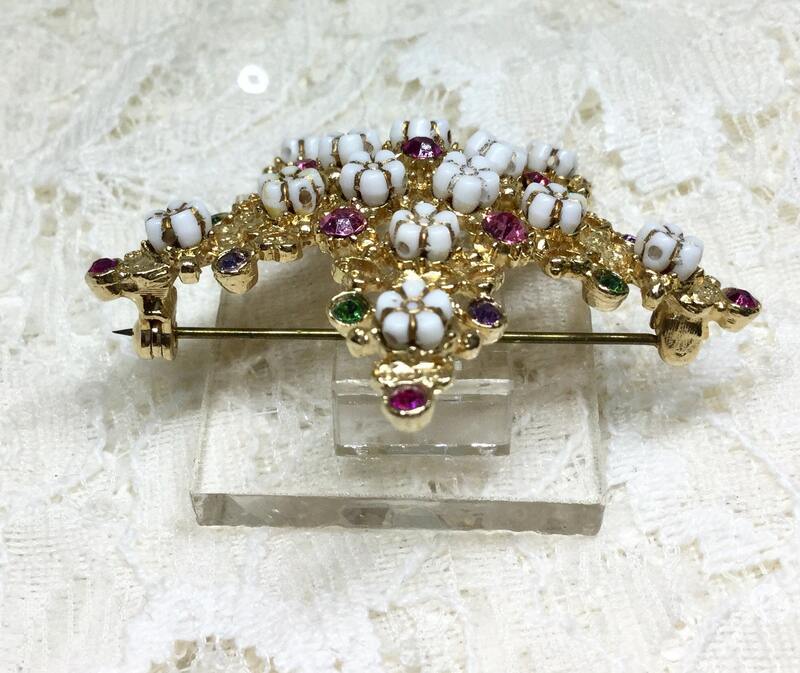 The back of the brooch is in great condition but there is wear to the pin. 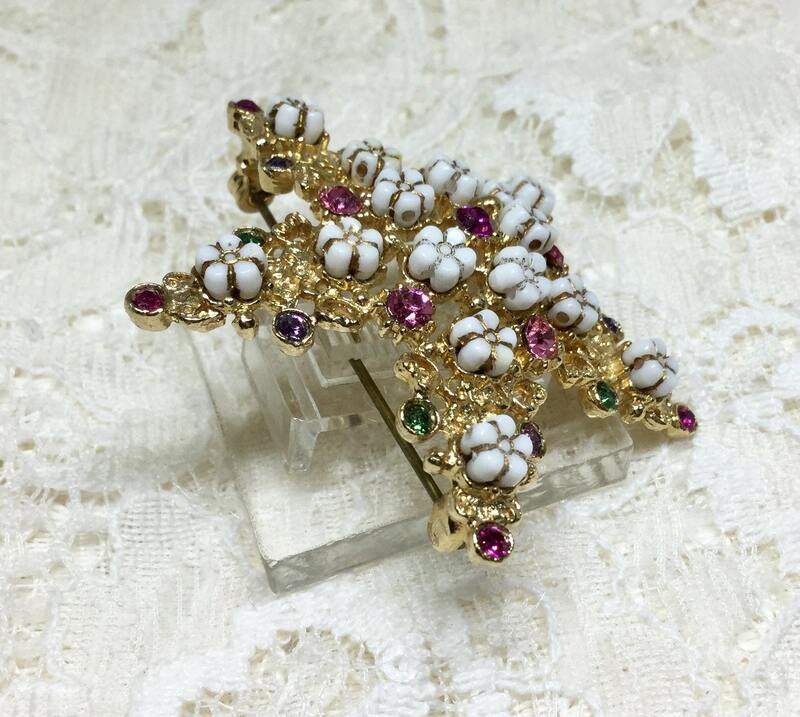 This is a sweet dainty brooch with the Florenza quality touch which makes it special. 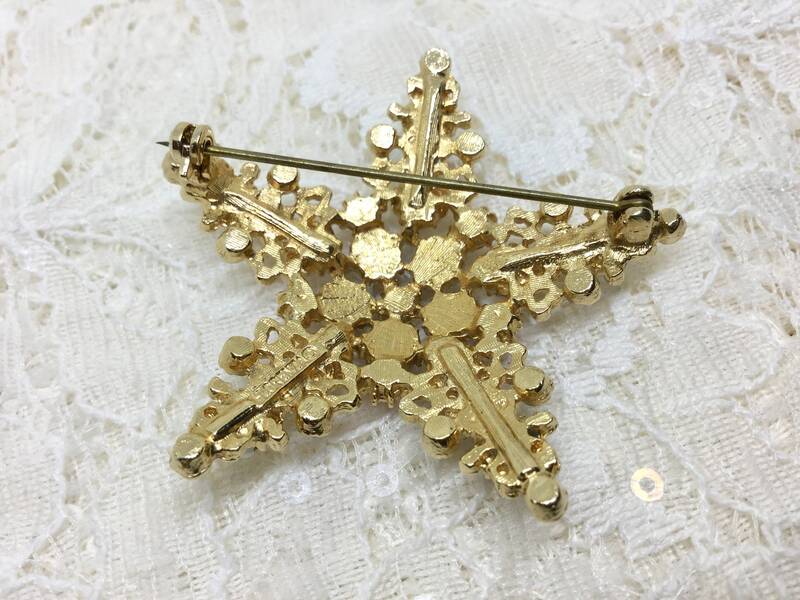 A great brooch for a lapel, jean jacket, hat, or as a gift for Mother’s Day!